Overview… princess of the Scottish kingdom of DunBroch. Merida has three younger brothers and a loving mother and father. Unfortunately, her refusal to act like a proper princess strains her relationship with Queen Elinor. 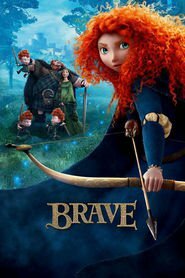 When a spell goes horribly wrong, Merida must look past her anger to save her mother. Personality… feisty, independent, and forceful. Merida has no desire to marry anyone; instead, she just wants to have control of her own destiny. If it were up to her, Merida would spend her days practicing archery and swordfighting, riding her horse Angus, and exploring the Highlands. But given she's part of a royal family with official responsibilities, it’s not always up to her. Merida's popularity ranking on CharacTour is #752 out of 5,000+ characters. See our top-ranked characters and read their profiles.